Now well into its fourth decade as a specialist VW converter, Bilbo’s continues to turn out some pretty exceptional campers. 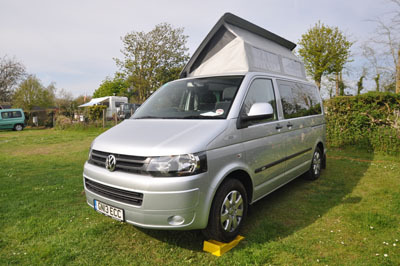 Its long-wheelbase sister may be the one that’s picked up a few high-profile awards recently (MMM Campervan of the Year, Which Motorhome Best VW), but this short-wheelbase version – boasting exactly the same layout, but all within slightly shorter confines – sure runs it close. Starting point here is the SE version of the Transporter T5 that Volkswagen supplies to a select band of converters here in the UK. 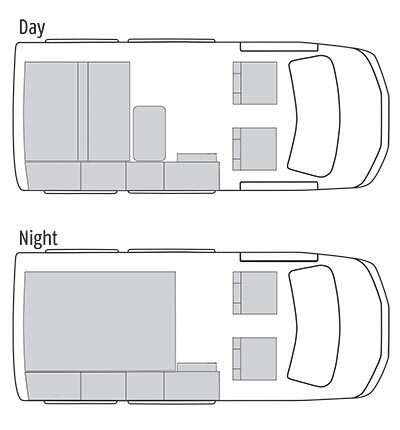 It has a more motorhome-friendly specification, including windows all round, super cab seats, extra sound proofing and a lot more (much of which you’d have to order as options on a standard van). Here, it’s the Bluemotion economy version that still gives a lively enough 114bhp of power, returning anything over 36mpg to the gallon. The only surprise is it doesn’t have an extra high sixth gear. If you think the resultant price is high, you have to see that in context against its competitors, particularly Volkwagen’s own California. But, there’s a strong case that Bilbo’s does things even better than Volkswagen itself. There are plenty of extras you can order for your Celex. The examples listed below are fairly typical, resulting in an on-the-road price here of £44,590. You get a traditional VW layout here, of course. 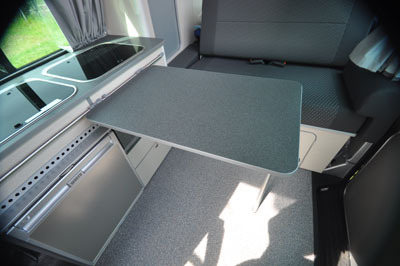 It puts all the furniture along one side, starting behind the driver, allied to a rear bench seat that converts easily enough to one of the best (in terms of size and flatness of mattress) beds that you’ll get in any VW camper. When set up, there’s still some floor space, as well as easy access to the fridge. Overhead, there’s a side-hinged elevating roof that, again, is simple to operate. If you want bed boards up here they’re extra. 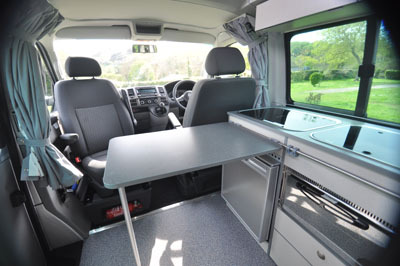 There are plenty of individual quirks here, too, much of it based on the company owners long experience of using the campers they produce. The two-ring hob, for example, doesn’t have spark ignition (it tends to get clogged up after too much cleaning). The table rail is such that, wherever you choose to put it, that tabletop will always be steady. Upholstery throughout is the same (Tasamo here). Many of the reading lights are on stalks (for full adjustment). 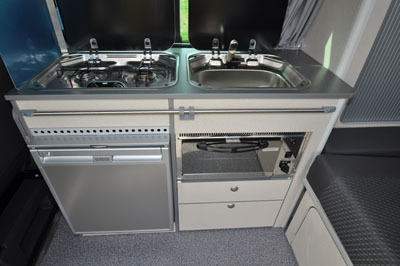 And Bilbo’s was at the forefront of using compressor fridges (a generous 65-litre model here) in campervans. Storage also, is particularly good in the Celex. The kitchen drawers, for example, are much more practical than a single locker. And the two slimline lockers over the kitchen unit come in so handy, without compromising the chef. 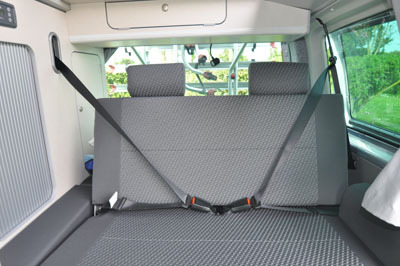 There’s plenty of space for bulkier items (including a portable toilet) under the rear seat. There’s a shelved cupboard with easy-access tambour door adjacent to the kitchen. A ceiling locker sits overhead, just behind the rear seat. And there’s a small but handy wardrobe at the end of the furniture run, sitting over a gas locker that’s accessible when the tailgate’s open. There’s a good, sturdy non-nonsense quality to the conversion work, too, with all surfaces easy to wipe clean, a tough vinyl floor. But, it’s with the all-round ergonomics that Bilbo’s excels. It fits curtains (thick, lined) for all the windows – arguably more effective and less troublesome than some of the fittings others use. In summary, plenty of other manufacturers produce Volkswagen-based campervans. Few can match the blend of quality and practicality that Bilbo’s brings. Price is ex-works and includes VAT @ 20% but excludes a recommended retailer delivery charge of £565 including VAT which includes delivery to your dealer who will prepare your caravan for collection by you. 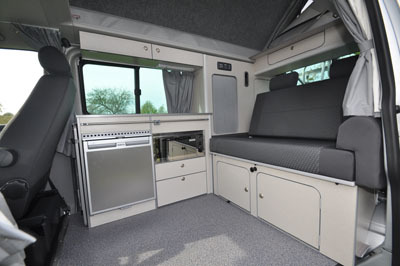 *Motorhome insurance cost based on Bilbo’s Celex 2013 retailing for £44,590. Fitted with standard security and Thatcham Category 1 approved security system. UK travel only. Kept on driveway at home at TD9 8ED. Motorhome owners – both teachers 50 years old with no claims, convictions or health conditions in last 3 years. 4 years no claims bonus mirrored from car policy and 2 years motorhome driving experience. Members of motorhome club doing less than 5000 miles annually. £300 excess applies. Quote correct as of 20/05/2013. Compared with mass market cars which have become better value over the years, campers are looking very overpriced. The industry needs to rationalise and become more competitive, else campers will only be for the wealthiest.